Beautiful and rare slim 18K gold, diamond, pearl and painted enamel nested bell quarter repeater by Philippe Terrot circa 1790. 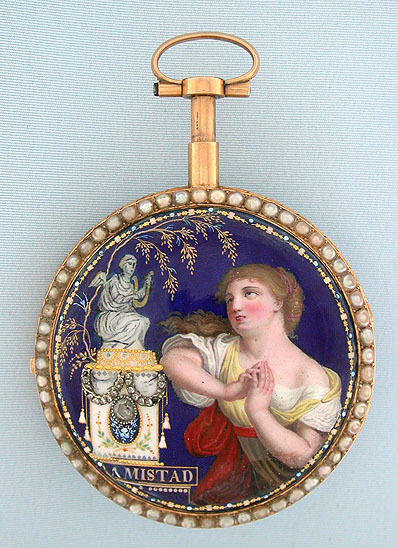 The case with pearl bezels, the front spring hinged, the back with a painted enamel scene enriched with gold and diamond decorations. The back has been restored with hard fired enamel. 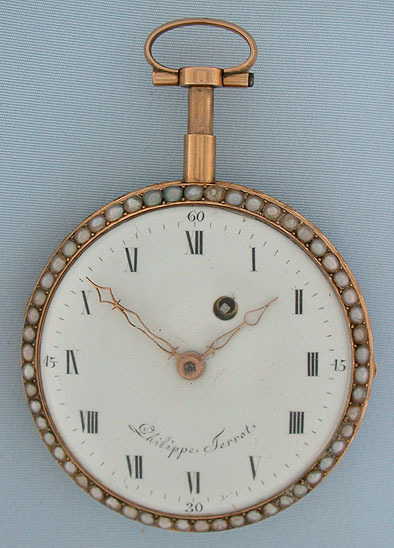 White enamel dial with gold hands and minor edge chip at the winding hole. 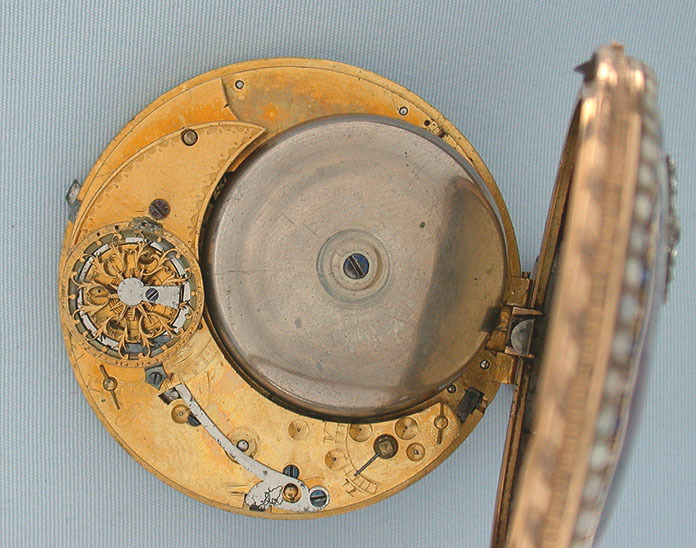 Unusual slim crescent shaped cylinder movement with two bells, one underneath the other for the chime. When activated by depressing the pendant, this watch chimes the time using different chime tones to designate the hours and quarter hours.